When the Pentagon embarked on the acquisition of the F-35 joint strike fighter in 2001, little thought was given to who legally owned the rights to the technical data and intellectual property associated with the aircraft. 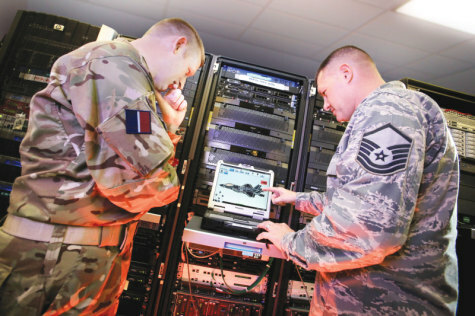 Fifteen years later, the lack of clear contractual language about ownership of technical data and software code has put the Pentagon in a bind and has limited the government’s options on how to maintain, upgrade and manage the Pentagon’s largest weapons acquisition, according to the officer who runs the F-35 program, Air Force Lt. Gen. Christopher Bogdan. “I am playing catch-up now every which way I turn when it comes to intellectual property rights in the F-35 program,” Bogdan told a group of government and industry executives who are reviewing the existing body of laws and regulations regarding rights in technical data. Bogdan spoke in stark terms about the frequent disputes over intellectual property rights that he has witnessed during four years at the helm of the F-35 program. In hindsight, said Bogdan, had the government laid down rules on IP rights in the original F-35 contract awarded to prime contractors Lockheed Martin and Pratt & Whitney, the Pentagon could have avoided massive expenditures over the projected 50-year life of the program. Because contractors and subcontractors have tight control of the intellectual property — from the software to major components and spare parts — the Defense Department has limited authority, for instance, to integrate new systems into the aircraft or do routine maintenance work in government depots. The Air Force C-17 cargo aircraft program offers a cautionary tale. Initially when the program started in the 1990s, the plan was that it would be maintained by the contractor for life, so there was no need to ask for OMIT data. (EDITOR’S NOTE: What this means, in the final analysis, is that the US military, as well as foreign operators of the F-35, will have to pay whatever Lockheed and Pratt & Whitney decide to charge to maintain, upgrade and modify the aircraft. Although not mentioned in this article, Lockheed also owns all the IP rights for the Autonomic Logistic Information System (ALIS), which controls all F-35 operations and without access to which the F-35 can neither operate nor be maintained. ALIS can also prevent aircraft from taking off, as was shown by malfunctions during its initial operations. So all aspects of F-35 operations will be subject to industry control, including the fact that Lockheed can even ground aircraft fleets at will. This is catastrophic news for the national sovereignty of the countries that will operate the F-35. It is also catastrophic news for their defense budgets because, again, Lockheed and Pratt can charge whatever they like to allow F-35s to operate and be maintained.